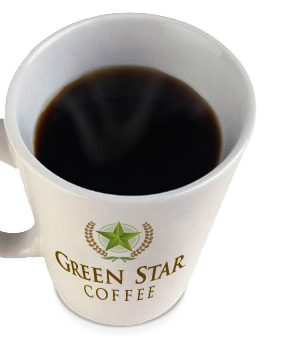 Green Star Coffee sources only the finest Certified Organic Fair Trade coffees and teas from the premier growing regions around the world. Each of our 100% Arabica organic coffees is hand blended and roasted to order and only offered at their peak of freshness. In addition to offering a superb product, we pride ourselves on providing complete coffee solutions for a diverse array of corporate, restaurant, wholesale and retail clients. Buying only the top 3% of the specialty coffee on the market, we offer a wide variety of proprietary and custom blends of Certified Organic Fair Trade coffee. Green Star Coffee is focused on purchasing green coffee beans and fine teas from villages and importers that are committed to fair trade and working towards better economic opportunity, improved environment and health for coffee farmers and their families. Located in beautiful Santa Barbara, California, Green Star Coffee has an unparalleled reputation for outstanding service and products. With a combined 27 years in the specialty coffee industry, our passion for quality coffee, the environment, and exceptional customer-centered service allows us to offer the best gourmet fresh roasted coffees available on the market.